Asian American church proponents like myself are not against the Multiethnic church! I get this vibe—that Christians who are rah rah for multiethnicity think that Christians who are rah rah for Asian American stuff are against them. I get this vibe after I vehemently explained at a dinner party—that we Asian American Christians are not there in knowing who we are, our culture, how we do church, that we need a place of our own first to figure things out—and the next day, a blogger sitting last night at my dinner table posts about how any homogeneous church is wrong. Is this a fair vibe? Or am I imagining it? For the record—this is what I think. I cannot and do not speak for any other or all Asian American Christians. The multiethnic church is the aspiration of any Christ-centered, Bible-centered church. I LOVE ASIAN AMERICANS, CHICANO AMERICANS, NATIVE AMERICANS, BLACK AMERICANS, MIXED AMERICANS, WHITE AMERICANS. We all are made in God’s image and fearfully and wonderfully made. JESUS MEETS US WHERE WE’RE AT, INCLUDING ASIAN AMERICANS. Tis the season, where we celebrate Immanuel, God with us, God coming to walk among us and meet us where we are at. Yay for the incarnation! ASIAN AMERICANS HAVE NOT BEEN EN MASSE IN THIS COUNTRY FOR THAT LONG. Sure, the very first Asian person stepped foot on North America in the 1500s off a Spanish galleon, and I suppose some argument could be made for mixed Europeans and East Asian people crossing the Bering Strait into the Alaska Peninsula. But thanks to exclusion acts that were very anti-Asian and thanks to the 1965 Immigration Act, we didn’t really start coming en masse until after 1965. That’s 48 years. That’s not a long time at all compared to African Americans, Latino Americans, and especially Native Americans. And not even completely 48 years–the bulk of us were not around in 1990! By 2000, there were 11.8 mil of us, today, there’s over 18 mil. And we’re still coming….we are, according to the last census, the fastest growing minority group. ASIAN AMERICAN CHRISTIANS CAN’T JUST BE THROWN IN TO A MULTIETHNIC CHURCH BECAUSE WE CAN’T JUST SIMPLY BE OURSELVES. (1) Just like every other human being under the sun, we adjust how we are according to the people we’re around. Just as Black folk speak differently when they are around whites (linguists call this code switching), just as white folks feel uncomfortable when they are in a room full of minorities (because they no longer know how to be and act), Asian Americans change how they are when they are in non-predominantly Asian American settings. We’re also generally a more group oriented culture, so we’re going to go with the group. (2) When we are ourselves, non-Asian Americans do not often notice or pick up our social cues. This deserves a deeper discussion for another post, but here’s a crude example to make my point: A black friend of mine once told me that he thought Asian Americans were so rude for not looking him in the eye. He felt so disrespected, so like a non-person until he was told that Asian Americans don’t do this out of respect. For an Asian American, he was told, to look someone directly in the eye (who you don’t know well) is a grave measure of disrespect. [Now–don’t take this as gospel truth okay? Culture is super dynamic, always changing, and it’s never clear across the board. Plus, lots of Asian Americans I know like myself have PRACTICED looking someone in the eye. I’m good at looking you in the eye, when I’m in a good mood. Plus, who knows—maybe this is just sort of generally 20% true for East Asians…I don’t know how “true” this is for all Asian Americans.] My point, non-Asian Americans do not always understand what we Asian Americans are communicating. So how then can we always be ourselves, if you can’t get it? It’s always hard not to overstate things, but here we go: think of the Asian Americans in a multiethnic church setting and try to think of what they bring to the table. I think a lot, but it takes a while (I’m being generous) for non-Asian Americans to see it. I think it also depends on if the head pastor is Asian American or non-Asian American, and on the percentage of Asian Americans in the mix. An academic studying this once told me that that’s the trend you see: compared to other ethnicities, Asian Americans have much less of a voice in multiethnic settings. Asian Americans need to act white to be heard, so that’s what many do. This is generally true in a denominational or greater church organizational sense too. Asian Americans get invited to a church table, say a board, the elder team, or whatever—only for their seat/voice to be taken away. Now—this changes if the head pastor is Asian American, and if there’s a critical mass of Asian Americans. Perhaps that is why in some circles a head Asian American pastor is now seen as a silver bullet to get beyond multiethnic cross-cultural church troubles. But many of these guys are Korean, and I would argue—uh, no. (also for another post). Since we’re not seen, I think mostly—it seems like we’re bringing just silent bodies. Bodies, yes-men who tithe and serve. And yes, consume your sermons too. But, this is not who God ONLY made us to be…and this should not be our main offering. I would argue that it is not—but what we offer is necessarily seen nor valued. I worked at a multiethnic church—the mostly white Southern staff team thought the church was 70% Asian American, whereas if you asked us Asian Americans, we thought the number was closer to 40%. Anyway, this freaked the staff team out—they didn’t know what to do with the Asian Americans that seemed to be growing and growing. I got to hear lots of snide comments about “these Asian Americans” until one day, a bunch of these Asian Americans decided to throw an 11th hour fundraiser for a missions trip. At the next staff meeting, all I heard was how amazed they got over 500 people together, with only 48 hours notice! And they raised close to $20K too. From then on, I stopped hearing the snide AA comments. But they could only do so, because there was a critical mass of Asian Americans, and they felt comfortable to initiate something. ASIAN AMERICAN CHRISTIANS NEED TO BETTER ARTICULATE AND COMMUNICATE WHAT WE ARE BRINGING TO THE GREATER MULTIETHNIC CHURCH. Sigh, okay—the Christ-like response is to meet YOU where you are at. If non-Asian Americans can’t see us, then yes, like Christ, Asian Americans should meet you where you are at. This means we need to articulate and communicate what we’re bringing to the table. ARTICULATING WHAT ASIAN AMERICAN CHRISTIANS BRING IS HARD, UN-INTUITIVE. WE NEED SOME SPACE TO FIGURE THAT OUT. Uh, articulating what we bring to the table—is very hard. I read this classic Sociology book in college, Cultural Misunderstandings in which the author compares French life to American life. In her preface, she defines culture as being like the air you breathe. You don’t know why you say, kiss your children in public, or why you think certain things. They just are. You take them as fact, as reality, as how things should be. You’ve learned these things when you were young, you’ve absorbed them by the people you are around—-and you don’t think about the why or whatever until you see someone doing and acting differently. This process of knowing yourself that well, that deeply, interiorly well—can be painful the author says. It is really, really hard to be THAT self-aware. We don’t ask it of people, generally. Articulating what we bring to the table is also very cross-cultural. I was raised NEVER to brag about myself. Others notice you—those who make a spectacle of yourself are fools, are people not worth any attention. Now, this is not true of Asian Americans across the board—but I think of that UC Riverside study about AA’s not being in top echelons of leadership, and yet there are lots of South Asian CEOS—but, it’s true in enough AA circles. There’s that Japanese saying: the nail that sticks out gets hammered down, i.e. don’t stand out from the group. Note that this is super un-American culture, in that everyone needs their own brand, the loudest wins etc. Two main things: (1) we are not a homogeneous group. It’s not like we all like each other. We make fun and look down upon each other all the time. Way too often. Some of our parents and grandparents were literally at war with each other, and they still remember it. It’s also not just ethnic culture, but class culture, immigration wave, what kind of Asia we moved from, where we moved to in the United States, how our parents adjusted, etc. etc. 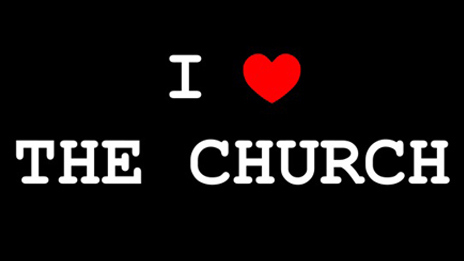 (2) Andy Crouch calls for Christians to make culture! DO LET US FIGURE IT OUT. DON’T SCORN US, IT MAKES IT HARDER EVENTUALLY TO JOIN YOU. Let us do our thing. Don’t look down on us—it’s hurtful, and it puts God down because He made us. Let the Asian American church be. NOT ALL ASIAN AMERICANS WILL GO TO JUST AN ASIAN AMERICAN CHURCH. OF COURSE SOME ASIAN AMERICANS SHOULD GO TO A MULTIETHNIC CHURCH. While I am pro-Asian American church, I have a white spouse, and if you can’t tell by my posts, I’m pretty accustomed to talking to people of all different walks and colors. I’ve MOSTLY gone to the multiethnic church, but that did not make me a popular person (well, with some folks, I guess). I write anonymously for a reason. For me, I learn a lot about myself by being with people different from me. But that would not be true if I didn’t have an Asian American church or communities to come back to, touch base with. The latter is where I recuperate, where I remind myself who I am. BTW, ASIAN AMERICAN CHURCHES ARE IN THEMSELVES INHERENTLY MULTIETHNIC. This is a given—that no one seems to remember! Hello! Asian Americans—do you know how many countries and languages and different cultural systems that represents? Really, I think MOST Asian American churches are far more “multiethnic” than the average multiethnic church.